February 9, 2016 - The Federal Aviation Administration (FAA) today issued a safety alert to U.S. and foreign commercial passenger and cargo airlines, urging them to conduct a safety risk assessment to manage the risks associated with transporting lithium batteries as cargo. FAA battery fire testing has highlighted the potential risk of a catastrophic aircraft loss due to damage resulting from a lithium battery fire or explosion. Current cargo fire suppression systems cannot effectively control a lithium battery fire. As a result of those tests, the International Civil Aviation Organization (ICAO) and aircraft manufacturers Boeing and Airbus have advised airlines about the dangers associated with carrying lithium batteries as cargo and also have encouraged them to conduct safety risk assessments. 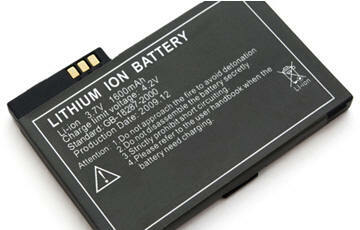 Hazardous materials rules currently ban passenger airlines from carrying lithium-metal batteries as cargo. In addition, a number of large commercial passenger airlines have decided voluntarily not to carry rechargeable, lithium-ion batteries. The safety risk assessment process is designed to identify and mitigate risks for the airlines that still carry lithium batteries and to help those that don't carry them from inadvertently accepting them for transport.